For more than 40 years, ABB Measurement & Analytics has enabled scientists worldwide to achieve excellence in infrared spectroscopy with the company’s portfolio of high-performance laboratory and process fourier transform infrared (FT-IR) / fourier transform near-infrared (FT-NIR) analysers. ABB spectrometers perform real-time analysis of the chemical composition and physical properties of a process sample stream. ABB’s analysers are used in laboratories and industrial processes to analyse multiple chemical components in the final quality control of several common products used daily. The company provides rugged and versatile instruments, offering exceptional performance and ease-of-use in response to increasing customer demand. Especially for the packaging industry, ABB has developed an industrial FT-NIR solution for fast analysis of polyethylene terephthalate (PET) containers, such as jars, bottles and preforms. The FT-NIR solution is intended for R&D centres, quality assurance (QA) / quality control (QC) laboratories and production lines of companies performing a large number of daily measurements of containers’ key characteristics. The MB3600-CH80 instrument enables precise determination of several PET quality attributes such as crystallinity, moisture content, wall thickness and intrinsic viscosity. Analysis is performed within a few seconds, an alternative to slower laboratory methods. No specific sample or instrument preparation is required and the measurements are totally non-destructive. ABB designs, manufactures and markets reliable spectrometers, as well as turnkey analytical solutions, for multiple markets and industries, including refining, chemicals, packaging, pharmaceutical, semiconductors, academic, metallurgy, space and defence. The maintenance-free instruments maximise productivity and deliver unbeatable analytical performance at the industry’s lowest cost of ownership. ABB also provides custom calibration modelling services and application support addressing QA/QC market needs. ABB’s analytical solutions combine analysers, applications, advanced process control, data management and process knowledge to improve the operational performance and safety of industrial processes. 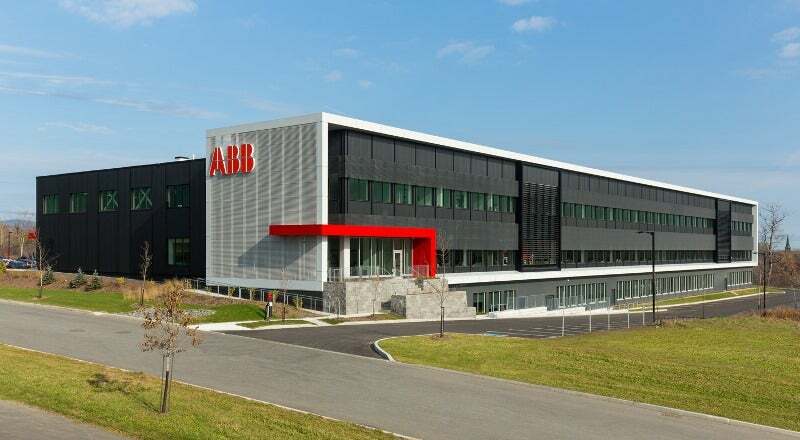 ABB’s manufacturing facility in Quebec City, Canada, employs more than 200 people, including R&D, manufacturing, marketing, sales and administrative groups. The company is a leader in power and automation technologies that enable utility and industry customers to improve their performance while lowering environmental impact. The ABB Group of companies operates in around 100 countries, employing approximately 150,000 people. ABB has announced the new LLT100 laser level transmitter, which meets the demands of process automation and inventory management. ABB’s innovative FT-NIR systems have been designed to allow users to conduct quick and accurate analysis of multiple sample properties in a single operation for maximum efficiency. The LM80 is a non-contact laser level measurement transmitter designed for solid materials and opaque liquids. Based on pulsed laser technology, the LM80 embodies speed and accuracy in a single, easy to use and simple to install product. The characteristic narrow beam divergence of the laser permits direct aiming to the target surface without interference from structures or falling material. The MB3600-CH80 PET Packaging Analyzer is a rugged industrial FT-NIR solution for fast analysis of PET containers like jars, bottles and preforms. Intended for laboratories and pilot plants, the MB-Rx Reaction Monitor provides chemists with direct access to real-time experiment data via a rugged insertion probe and an intuitive software interface. The MB3600-CH40 Solids Analyzer is designed to perform fast and accurate determination of key physico-chemical attributes of raw materials, in-process or finished products in solid form. The MB3600-CH70 Polyol Analyzer is a rugged and high-performance industrial FT-NIR spectrometer for R&D and QA/QC applications on polyols and derivatives. The MB3600-CH80 enables precise determination of several PET quality attributes such as crystallinity, moisture content, wall thickness or intrinsic viscosity. Analysis is performed within a few seconds, as an alternative to slower laboratory methods. Dow Chemical's Packaging and Specialty Plastics (P&SP) division officially opened a new state-of-the-art Pack Studio centre in Singapore, in August 2016.